Organic Bamboo extract enriched formula is mild enough to use multiple times a day. 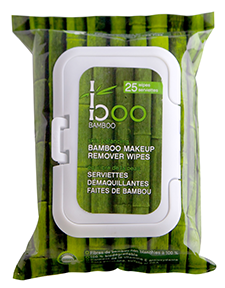 100% Bamboo wipes are lint free, unbleached and biodegradable. Wipe face with pre-moistened towelette to remove dirt, oil and makeup or just to freshen-up. No rinsing required.